Sweet, roasty and always invigorating, traditional Latin American cafe con leche coffee can be found nearly everywhere in our hometown of Tampa, Florida and serves as the inspiration for our Cafe Con Leche Sweet Stout. 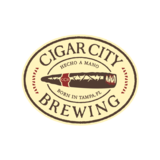 The beer is made with bold, strong coffee beans to emulate the most characterful Cuban espresso and lactose, a milk sugar that adds sweetness, body and flavors reminiscent of scalded milk. We’ve also added cacao nibs to further enhance the satisfying chocolate quality of the beer. Despite it’s assertive flavors and full body, our sweet stout is deceptively low in alcohol, making it the perfect accompaniment to a late-morning plate of eggs, bacon and tostadas.